Beautiful pools can turn slimy, grimy, and ugly fast. 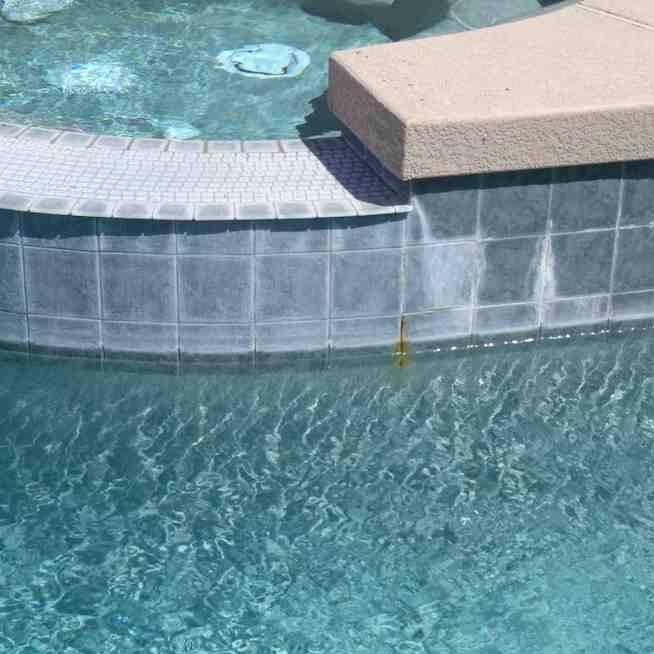 Aside from the leaves and other random debris that can be easily cleaned with a pool skimmer, the #1 unsightly issue with pools is a ring that forms around the edge at the waterline. It’s a common problem with pools across the nation, and a particular pool maintenance concern in the Phoenix area. Scum is the oil, dirt, and other greasy grimy debris that build upon the surface of the water and will eventually work it’s way to the edge. How fast it will appear, and how bad it will be, will depend on how often the pool is used, who uses it, whether or not the pool gets covered every night, and other general pool care problems. Preventing the buildup of scum means using a skimmer regularly, and cleaning out the skimmer to prevent buildup from happening in there as well. Then utilize pool enzymes that help to neutralize the scum. A pool care specialist will know what is needed for each pool to keep it at that ideal place. Scale is the result of the calcium in hard water building up against the edge of the pool. It’s very typical especially in areas that have especially hard water. The scum is a pool maintenance issue that is going to be a problem in a Phoenix pool, but it won’t take a pool maintenance specialist to accurately identify what is causing the scum as well as ways to prevent it from becoming a problem. Stains are what happens when the scale or scum aren’t properly cleaned and treated promptly. Vinyl pools are especially sensitive to staining. Preventing these is as simple as hiring a professional pool maintenance company to come in and give the whole pool thorough deep cleaning periodically, or hiring a regular monthly service. Depending on the pool use and how much work the homeowner is willing to perform himself will play a huge factor in how often the pool maintenance company will be required, but no matter how often, it’s a good trade for a beautiful and functional pool. Owning a pool comes with more maintenance than the regular backyard situation. Pool maintenance can seem scary at first, but with the help of a qualified pool maintenance professional, there is no reason to be concerned. And the trade-offs are enormous, the entertainment possibilities with a pool are just beyond compare, and for the homeowner, that oasis is a perfect escape.